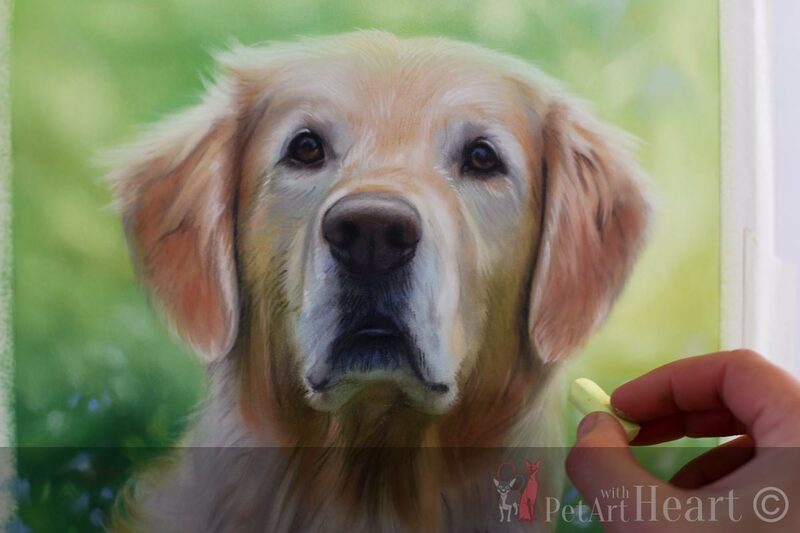 Yesterday I painted the background on this pastel pet portrait. I love doing blurry scenic backgrounds and many times they’re added or tweaked to the photo in photoshop first and then painted. Not many clients have the perfect reference photo they would like painted exactly like the reference photo. However adding an even more beautiful background suitable to the subject makes a perfect commissioned portrait. 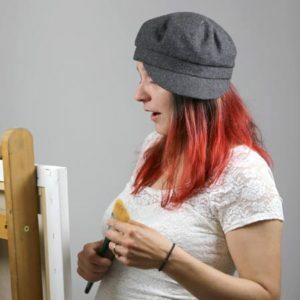 I love painting in pastel and I think its time to buy some PanPastels to make it even easier to paint those lovely backgrounds and blocking in larger areas. 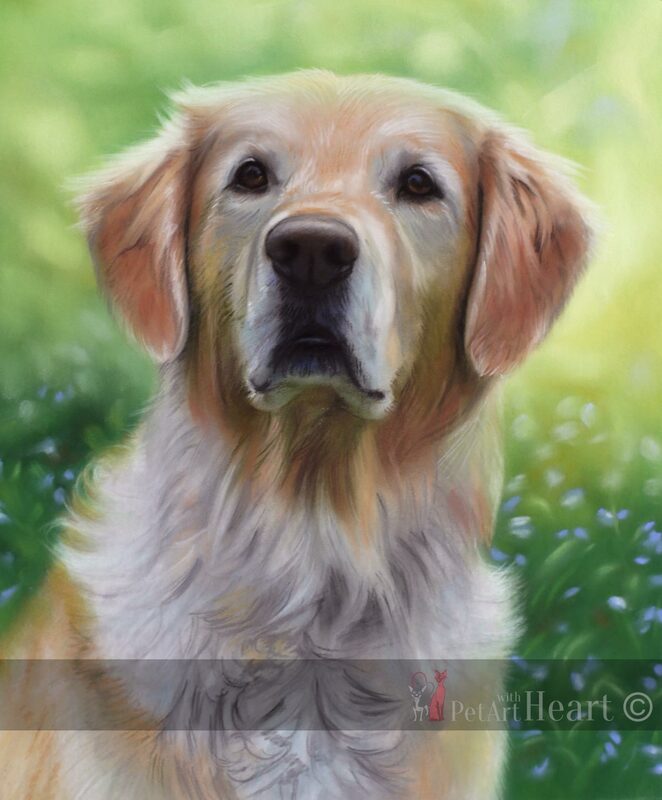 This Golden retriever painting will make a perfect gift. Can’t wait to continue with it tomorrow. Keep coming back for more updates! I hope you like it so far.